•	POSITIVE WORKPLACE CULTURE & NETWORK: Co-working spaces are known for a positive workplace culture & network which helps to alter your work environment and change your mind set helping you to work more efficiently and effectively, in turn finishing off a lot of work in short span of time. You get to work with like-minded people who turn the work ambiance into an encouraging one while your business gets a loop of networks and contact helping your business in various ways. •	AFFORDABLE: Cost-effectiveness & affordability are the key factors which are working in favour of co-working spaces. Altrade Business Centre offers easy on pockets Co-Working Spaces in Gurgaon which also let you enjoy various benefits at low cost. •	WORK-LIFE BALANCE: Co-working spaces ensures a healthy work-life balance since they are not dedicated to specific working hours and are very flexible. Co-working spaces’ mindful & practical approach works for everyone irrespective of the size of their business since it helps people to work in a relaxed & productive environment, giving their business a potential boost. •	PRODUCTIVITY: Finding meaning in your work is vital to take your business towards success. Regardless of whether you are a specialist, entrepreneur, independent venture, or start-up, your productivity can profit massively if you choose to work in co-working spaces. In case you're looking for a more imaginative and beneficial work environment, co-working space is the perfect solution for your business. Working in contact with other individuals is more helpful than working alone, and it's a lift for your productivity as well as creativity. •	ACCESS TO VARIOUS SERVICES & FACILITIES: The best thing about a co-working space is the accessibility to tons of facilities and amenities required for a business to run. At Altrade Business Centre, you will not only get to access the space but also 24/7 internet connectivity, mail collections, courier facilities, IT help, allotted parking area, refreshment area and also the finest Meeting Rooms in Gurgaon for your one-on-one meeting with clients. Above reasons are justifiable behind why co-working spaces are blooming up everywhere throughout the world. People who have taken up co-working spaces have realized that it gives great incentive to cash and that the benefits they offer exceed the burdens of personal office. 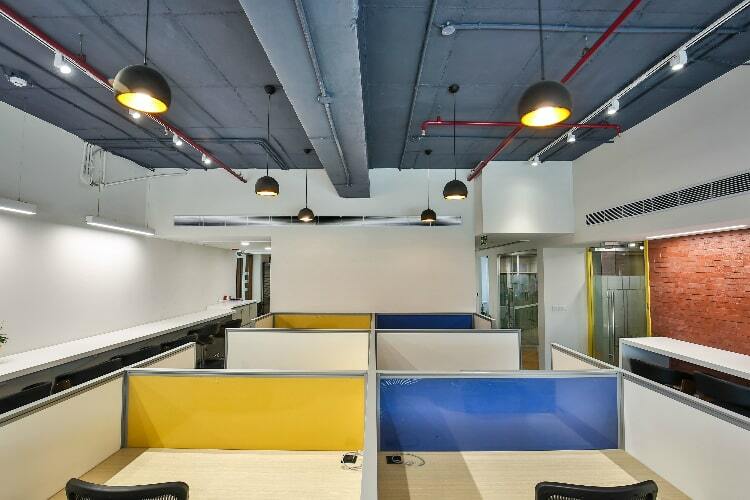 So, if you are looking for co-working Office Space in Gurgaon, Contact Altrade Business Centre.